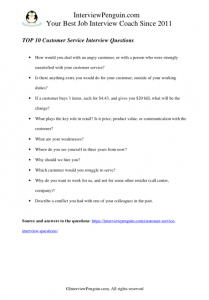 Can you become a great worker in customer service? Do you have the right personality for this position? And how would you react to various situations that you’d have to deal with in your job? HR managers and recruiters try to find the answers to these questions while talking to you in an interview. If you listen carefully, and talk to the point (essential qualities for a good CS worker). If you have enthusiasm in your voice, if it is easy to understand your words, if you can explain difficult matters in a simple way. If you are really motivated to do the job, and want to keep it for some time, or if you apply just becasue you can not secure any better position at the moment. Question 1: How would you deal with an angry customer, or with a person who were strongly unsatisfied with your customer service? Question 2: Is there anything extra you would do for your customer, outside of your working duties? Question 3: If a customer buys 3 items, each for $4.43, and gives you $20 bill, what will be the change? Question 4: What plays the key role in retail? Is it price, product value, or communication with the customer? Question 7: Where do you see yourself in three years from now? Question 8: Why should we hire you? Question 9: Which customer would you struggle to serve? Question 10: Why do you want to work for us, and not for some other retailer (call center, company)? Customers are only people, and they can be angry–for whatever reason, or for no reason at all. Tell us that you would approach every customer with smile on your face, that you’d stay calm and cheerful, and that you would try to uncover the reason why they were unsatisfied with your service. You can also say that if you failed to understand the reason of their anger, or failed to address their complaint properly, you would call an experienced staff member to help you (your supervisor, manager, etc). Angry customers belong to the job, and you should show us that you are ready to meet them with a smile on your face, and that their behavior will not affect you negatively in your job. Most people take care only of their working duties, exactly as they are specified on the employment contract–they do nothing more, whatsoever. They answer phone calls, they approach customers who seem to be looking for something, and they answer the questions of the customers. Simply they always wait for the customer to make a first move. Exceptional customer service assistants, however, always strive to do something extra for their customers, to please them, to make them happy, to help them feel great in the store. They do it because they know that the competition is enormous, and an unhappy customer will spend their money somewhere else, satisfying their shopping needs again. Informal talk with the customer, a small unexpected present, a discount you negotiate for them (if possible) are just a few ideas for a good answer to this question. We try to understand if you have basic financial literacy, and can count two and two, if you won’t make some simple mistakes in your job. Pay attention and listen carefully. You should give us a brief and correct answer. Nothing more, nothing less. You can use pen and paper for quick calculation, none interviewer will be upset seeing you doing your calculations. But you should not take the calculator out of your briefcase, or use the app on your smartphone to count the numbers. Doing that would not leave a good impression. In most cases, the price and the product value determine whether the customer eventually purchases a product, which they consider purchasing. As an applicant for CS position, however, you should definitely point out communication, and say that it plays the prime (or at least an important and significant role)–because that’s the only thing you can control. You can not change the price of a product, or the value it offers to the customer. But you can talk the people into making a purchase, helping them to see the benefits they’d gain with their purchase. We will ask you to play a customer assistant, and we will play a shopper (or a client). Your task will be to sell us something, or at least try to convince us to consider making a purchase (of a simple pen or pencil, of a notepad, or of any other item we happen to have in the office with us). Do not be afraid of a role play. Show us that you like to talk to the customers, that you are not afraid to take the initiative and start the conversation. 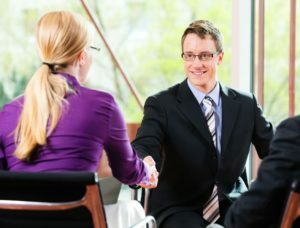 The worst thing you can do is refusing to do the role play in your interview. Every person has some weaknesses, and you are no exception. Good employees are aware of their weaknesses, and they try to improve on them. Try to pick a weakness that is not essential for the position. Customer service workers do not need excellent leadership or management skills–becasue they don’t manage other people in job. They do not need to be experts with computers either, and they do not have be in a great shape (physically). Pick a weakness that is not essential for customer service, and show us how to try to improve on it. Special tip: Do you like the analysis of the questions? And what about brilliant word-to-word answers to both personal and behavioral questions? You can find them in our Interview Success Package. See the product page for sample answers, and for a special discount. The career growth possibilities are limited, or non-existent, for most customer service jobs. That is the reason why you should say that you would like to have a good job in the same field, in three years time from now. You can also say that you do not think much about the future, and focus on the present moment, trying to get a job, and excel in it. You can also turn your answer around, focusing on goals in your personal life, such as improving your qualification, starting a family, etc. Remember that you can say and promise anything when answering this particular interview question. Nobody will later blame you if you leave the company in six months time, or even earlier. Try to convince them that they can count with in you in a long run, that you plan to stay with them. Whether you really want to stay, or plan to leave as soon as a better offer rings your inbox, does not matter much in this interview. Try to say something that differentiates you from other job applicants, from your competitors in an interview. Each of us is unique, and each of us can bring a different value to the company. The key is to identify this value, and to demonstrate it in a job interview. If you struggle to identify the value you can bring to their team, however, you can simply list the skills and abilities that make from you a good candidate for the job. The following sample answers should help you to come up with your own, perfect answer. People enjoy spending time with me, I am a great listener, and I am sure that your customers will be more than happy with my service. I am enthusiastic in work, and I bring a lot of energy to the team. This helps other colleagues with their motivation, and their commitment at work. At least that’s my experience from the other jobs I had in retail. My sales skills stand out, and I am sure I will not disappoint you in this job. 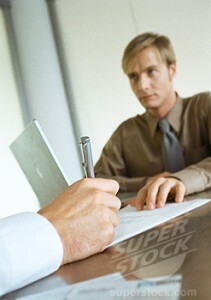 Of course I have not met the other job applicants, and can not tell their strengths and weaknesses. If you hire me, however, you can be sure I will try my very best to help your business to prosper. Some of us prefer to talk to teenagers, some of us are good with seniors. Men, women, children, avid shoppers, people who just look around and never buy anything–each of us has their favorite customer, and the one we do not like. But as a good applicant for a customer service position, you should emphasize that you can get along with anyone, and that you enjoy the diversity this job offers. Say us that even though you prefer some type of a customer, you do not struggle with any other type, and you’d do your best to help every single person in the store. Try to focus on the good things, something that is specific for their business. It can be their goals and values, their good reputation, their product portfolio, the vision they have, the company culture they observe. Alternatively you can say that the location of their store (factory, office) is perfect for you, or mention any other reason for your choice. One way or another, this question offers an opportunity to praise your future employer, and you should take this opportunity and embrace it with both hands. Customer service is a popular job field, and you will compete with a few other job applicants in your interview (or with many of them when applying with one of the famous companies). Interview attire tips – Some interview attire tips for the brave, and for people who like to experiment. Every detail matters in an interview, and you should definitely gain some points with the right choice of clothes. How to answer interview questions – It is not only about what you say, but also how you say it in an interview. An interesting insight into the art of interviewing for a job. Interview Success Package from Interview Penguin – Great answers to thirty most common interview questions, and a guide on how to ace your interview.